It’s that time of year again when outrageously bright floral shirts are somehow suddenly the hottest new trend. Of course, it can only mean one thing out here in Thailand – it’s Songkran. With splashy New Year festivities beginning this Friday, we’re all getting ready to brave the crowded streets, the floral extravaganza and, of course, the wetness. With all the people, the heat, and the water, how does one dress to impress during Songkran? Here are our suggestions – yes, they do include flowery shirts – on how to look great and still be practical. Let’s head into the Thai New Year in style, shall we? You were warned. 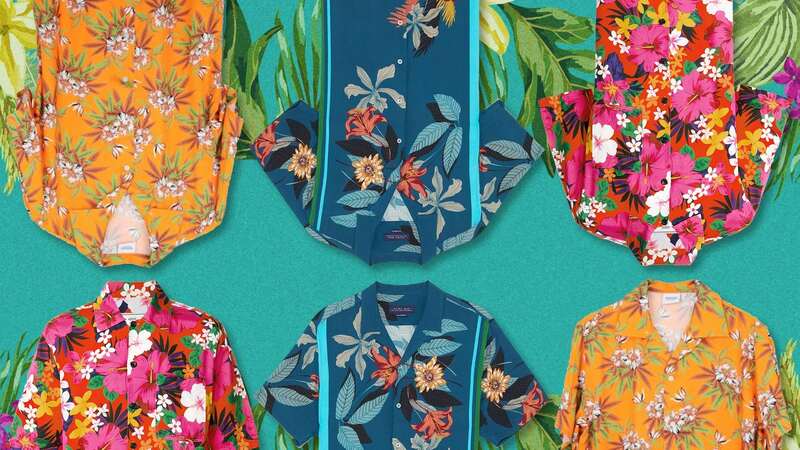 Whether you like it or not, those floral Hawaiian shirts are like law when it comes to the Songkran wardrobe. You’ve just got to embrace it. You could try a more sophisticated version of the classic design like the Valentino shirt below. Alternatively, Marni currently have a fabulous beachwear capsule collection that bursts with Hawaiian tailoring and pop-art floral prints in bright pinks and yellows. If you do insist on steering clear from the floral theme, at least stay on the tropical side. 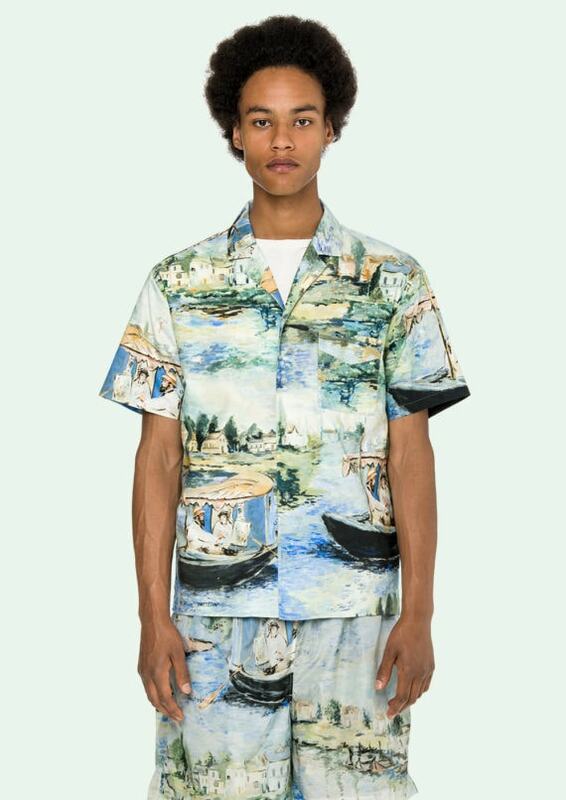 For example, this lake print shirt from Off-White would do well as an alternative. You could even throw in the matching swimming trunks to show how much you still care about Songkran style traditions. Whatever you go for, remember that you may want to avoid silks and leather, which are hard to care for and can be spoiled permanently by water. Cottons are preferable, or if you want to get serious, go for athletic wear for that quick-dry material. 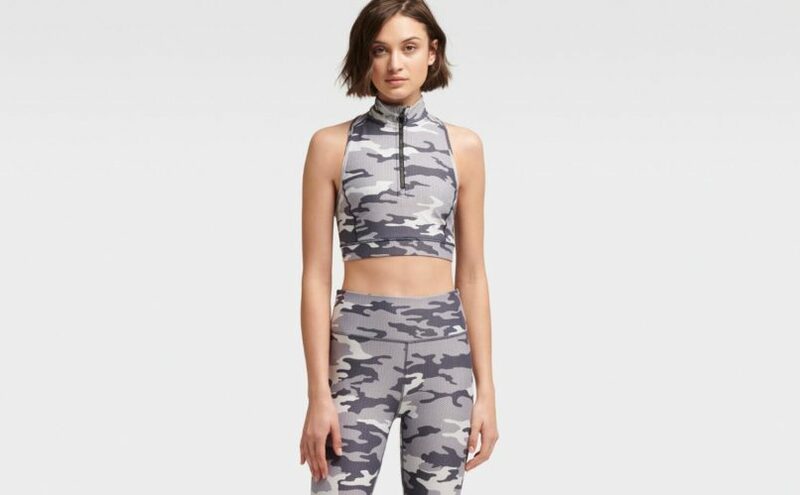 This camo-print sports bra top from DKNY is perfect for water warfare, giving you an action-ready look and feel. It might be a good idea to try and stand out from the big crowds this weekend. If you’re heading out with friends, it’s always helpful to be easily spotted in case you get lost. One sure way to do this is to wear neon. Day or night, you’ll never get lost. Off-White can always be relied on for neon anything. 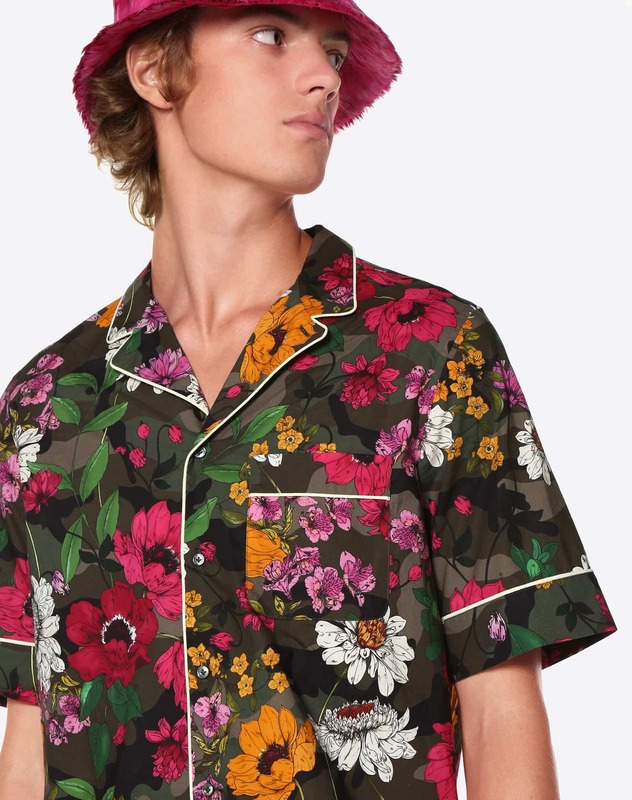 But this season, Prada have also come up with some brightly coloured tie-dye pieces including bucket hats, which would be great for shading you from the scorching sun too. Last year’s Songkran festivities saw pharmacies all over the country running out of stock on steriliser eyedrops. Needless to say, that water being splashed around everywhere isn’t exactly Iceland Spring Water. You should probably wear a pair of shades, or even goggles if you want to be really safe. 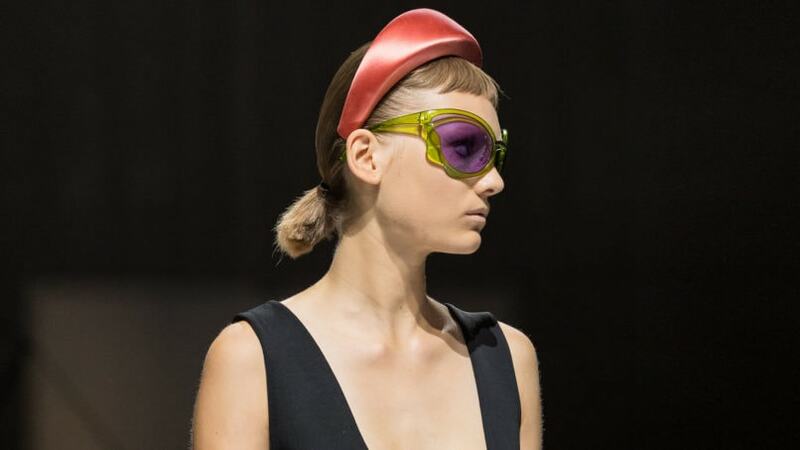 The leaders of eyewear, Prada has you covered again with their curved sunglasses that wrap a little around the sides of your eyes for extra protection. They’re also crazy fashionable. Most Bangkokians already have this step in the (waterproof) bag. Keep your phone, keys, wallet and airpods safe by sealing them in a waterproof bag. It’s a no-brainer, really. To keep your hands free for water-gun action, make it a backpack. 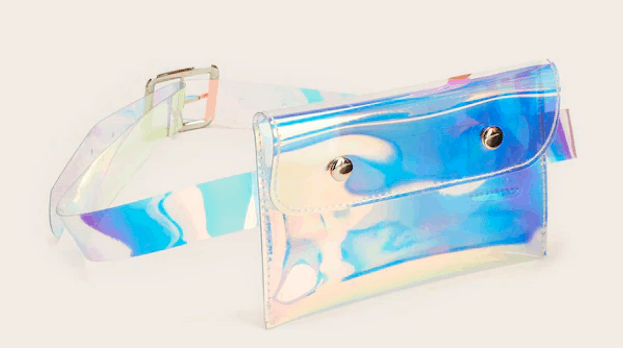 Even better: make it a fanny pack. 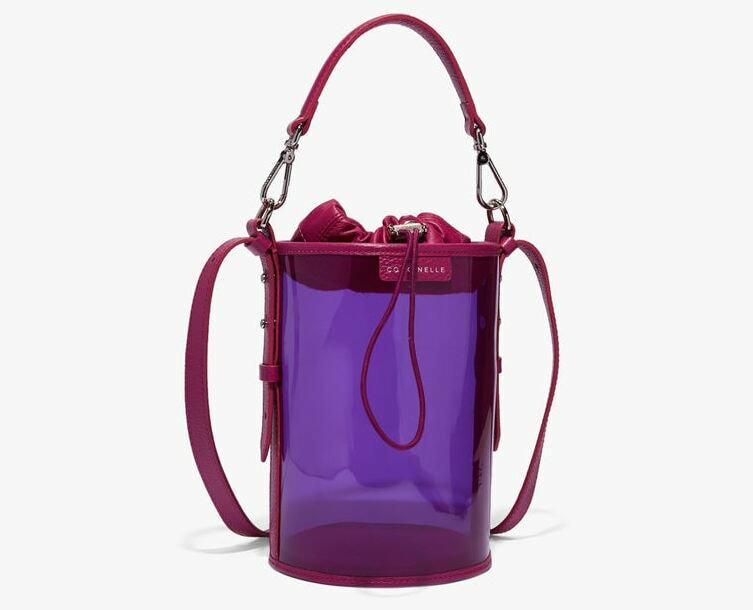 There are some great options for cool PVC bum bags from SHEIN, while Coccinelle have this stylish waterproof bucket bag you can sling over your shoulder. It’s difficult to emphasise just how wet you could get over Songkran. Like stepping-out-of-the-pool kind of wet. So, if you’re going to be that submerged, why not just wear a swimsuit? After all, Songkran is also prime time for pool parties all over the city. 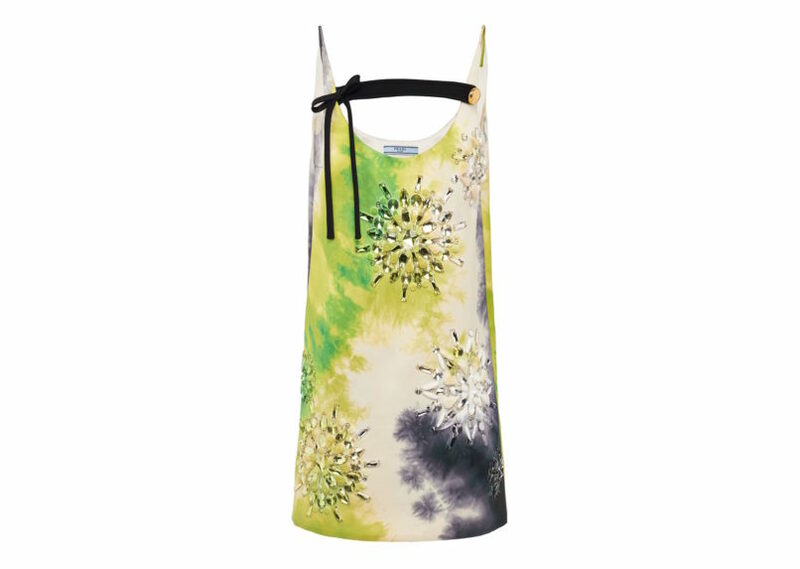 Go straight from street to pool with a swimsuit hidden underneath all your outfits. The best options for this are the swimsuits from the new H&M Studio Collection, which are so magically comfortable they basically feel like underwear. They still give reliable support, but without the restriction. If there’s one part of your outfit that could make or break your Songkran festivities, it’s the shoes. It may seem like flip-flops should be the go-to footwear for the mixture of heat and water, but this could actually be a bad idea. Flip-flops can be very hazardous in crowds and slippery roads, offering not very much support or protection from water. Instead, why not make Songkran an excuse to wear your most ridiculous shoes you wouldn’t wear on any other occasion? You heard us: time to bust out those Crocs. There’s absolutely no shame in wearing these when it comes to Songkran. Plus, they’re a lot more stable and protective too. To elevate your Crocs game a little, Vivienne Tam have done a collab with them and made these outrageously cool spiky ones. If you’re more of a sliders kind of person, check out Prada’s Cloudbust PVC sandals for all the appeal of sliders but with better ankle security. 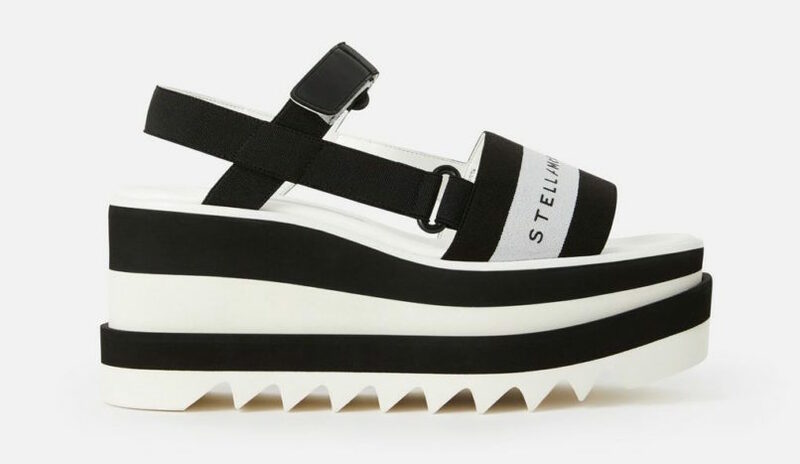 You could also choose from a selection of high-platform sandals by Stella McCartney to keep your feet off the ground and above those puddles. Hopefully this should help you survive the style-tricky Songkran period. It’s going to be a wild weekend and although we’re always for safety first, we think there’s always room for style too. On that note, we wish you a very fabulous Songkran!